Nestled in the hills of the Hudson River in Putnam County, 50 miles north of New York City, Graymoor’s picturesque grounds, shrines and chapels are open dawn to dusk, year round, for the public and people of all faiths to enjoy. From the summit of Mount Atonement, marvel at the sweeping vista and the beauty of a replica of Michelangelo’s Pieta. A few steps away find the tranquility of the St. Francis Chapel, with its altar that once marked the spot where St. Francis of Assisi received his holy stigmata in 1224. 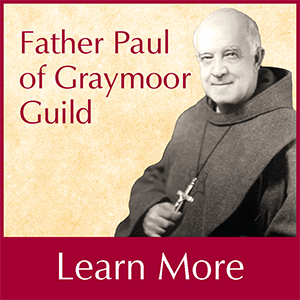 Servant of God Father Paul of Graymoor and Mother Lurana, the founders of the Society of the Atonement, were devoted to the passion and death of Christ, and His atoning sacrifice for our sins. The Crucifix stands 15 feet tall and is made of fiberglass and is a wayside shrine for travelers on Route 9. Each June, thousands of pilgrims come to Graymoor’s St. Anthony Shrine to celebrate his feast day. Summer beck-ons others who come to picnic or to hike the Appalachian Trail, which crosses through miles of Graymoor’s expansive grounds. Some visit to walk the outdoor labyrinth, pray, meditate or simply find peace. Throughout the year, Graymoor Spiritual Life Center shares Franciscan hospitality and spirituality with hundreds through retreats, workshops, recovery programs and special events. Visitors come for Bible study, Centering Prayer, daily and Sunday Masses and the sacrament of Reconciliation. While you are here, browse the large selection of books, gifts, cards and devotional items at Graymoor Book & Gift Center, Bethlehem Gift Shop, and hunt for the perfect find among the antiques and gently used goods and furnishings at That Nothing Be Lost Thrift Shop. Father Paul and Mother Lurana saw the image of Christ in the homeless men who came to Graymoor. They called them “Brothers Christopher.” The first Inn began sheltering men in 1909. Since then, the Inn has been rebuilt 4 times. Today St. Christopher’s Inn provides a continuum of care for chemical dependency for up to 1200 men annually. They offer an integrated model of care including substance abuse services, healthcare, psychiatric care and shelter. Visitors are not permitted at St. Christopher’s Inn to protect client privacy. Visitors can find maps, brochures, directions, and you may access the Graymoor Spiritual Life Center and Graymoor Book and Gift Center, located in the St. Pius X building through the Welcome Center. Visitors are asked to sign our guest book. Open Tuesday-Sunday 9am to 5pm, the friendly staff at the Graymoor Book and Gift Center can help you find devotional items, books, recovery items, workbooks, children’s, wedding and anniversary gifts, that will help you plant the seeds of faith. 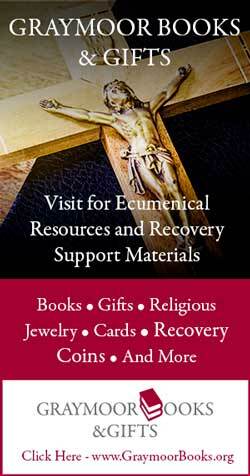 We offer thousands of items in stock including medals, cards, rosaries, statues, and all store proceeds support the Friars’ ministries. Hailed as Graymoor’s most beautiful chapel, St. Francis Chapel was built by the homeless men of St. Christopher’s Inn. The bell tower echoes that of St. Francis Basilica in Assisi. In 1933, the St. Francis Chapel altar was acquired from Mt. Alverna in Assisi where St. Francis received his holy stigmata in 1224. Facing the altar, to the left, you will find the statue of St. Anthony, where in 1912 Father Paul and the Friars began their perpetual novena to St. Anthony. The statue of St. Francis above the altar was only one of two made from a mold of St. Francis’ death mask. Dedicated in 1971 and occupying a spot Father Paul called Calvary Rock, Father Paul of Graymoor’s tomb bears the words of Christ, “That They All May Be One.” A replica of Michaelangelo’s Pieta looks over the tomb, and beyond that, is one of the most unsurpassed views in the Hudson Valley, where on clear day, you can see the skyline of New York City. This Chapel crowns the 700 foot summit of Mount Atonement. Erected in 1919, the structure was rebuilt in the 1930s. A glass enclosed roof served as an observation site for searching the skies for suspicious aircraft during World War II. Holy Spirit Chapel combines Roman and Eastern Rite symbolism. Among its stained glass windows are one of St. Clare receiving a coarse robe from St. Francis and another of St. Francis receiving his Holy Stigmata. 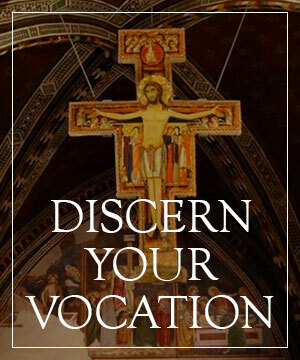 On the Feast of Corpus Christi in June 1900, Servant of God Father Paul of Graymoor claimed the site of Mount Atonement for God, and pledged that the Friars and Sisters of the Atonement would labor for the glory of God and the extension of God’s kingdom. On July 27, 1900, Father Paul made his vows of poverty, chastity and obedience. The site includes a statue of Our Lady of the Atonement. On Sunday, May 6, 2012 at Graymoor, the Franciscan Friars of the Atonement blessed their new Labyrinth and Peace Pole. In keeping with their Franciscan spirit, the labyrinth was created simply and naturally from fertilized grass. “May Peace Prevail on Earth” is inscribed on the Peace Pole, at its center, in eight languages. The first Christian labyrinth was found in the fourth-century Basilica of Reparatus in Algeria. The words “Sancta Eclesia” inscribed in the middle, indicating its use for religious purposes. Medieval labyrinths began to appear around the 13th century, the most famous of which is at the Cathedral of Chartres in France. Built in 1950 as a Pilgrim Hall, a “temporary chapel” to accommodate large pilgrimage crowds, this building was constructed in a unique pillar free design, using huge Douglas Firm beams across the ceiling for support. The Chapel contains a massive icon of Christ Pantocrator. Pilgrims to Graymoor always stop to pray and light a candle at the St. Anthony Candle Grotto, as an act of devotion and faith in the miracle worker, St. Anthony’s intercession. This bronze 16 foot high Crucifixion scene is at the entrance of the outdoor shrine to St. Anthony. The Stations of the Cross flank the side paths that lead to the large St. Anthony statue. Erected in 1960, this is the largest outdoor Shrine to St. Anthony. The St. Anthony Shrine, a destination to thousands of pilgrims who flock to Graymoor for his June feast day, is the culmination of Father Paul’s dream to have a magnificent shrine dedicated to this Franciscan Saint of Miracles. The Alpha and Omega Altar was constructed of granite found on the Holy Mountain by the men of St. Christopher’s Inn and installed there in 1932. It was relocated when the granite and fieldstone Shrine was renovated and re-dedicated on its 50th anniversary. In 2016, the St. Anthony Prayer Walkway was added so the faithful could share their expressions of love, hope and thanks. The World Trade Center Cross at Graymoor was erected by the Ironworkers of Local 40, NYC who constructed it of steel girders and ash from the WTC site, the Cross is a simple but powerful tribute to those who lost their lives on September 11, 2001. The memorial Cross was moved to a permanent location in 2016, north of the Friars’ cemetery, facing southward, toward New York City. The St. Anthony Chapel of the New St. Paul’s Friary, completed in 2016, was dedicated on May 12, 2016. The Chapel is simple and Franciscan in style, using long glass panels to bring in the views of the Hudson Valley, and large glass panels near the ceiling to bring the sky and trees into view. The entry way is the location of the beautiful Little Flower panels of stained glass which tell the story of the Life of St. Therese of Lisieux. These panels were salvaged from the original Little Flower Chapel of the Friars. While this is the private residence of some of the Friars living at Graymoor, visitors are welcome to join the Friars at their 11am Mass on Monday through Saturday. Please enter the chapel at the entrance near the St. Francis Chapel. Graymoor is located off US Route 9 in Garrison, NY, five miles north of Peekskill, NY, and 13 miles south of I-84. Use 40 Franciscan Way, Garrison, NY 10524 for GPS assisted driving directions. By Train: Take Metro-North’s Hudson River Line from Grand Central (or 125th Street) to Peekskill. Taxi service is available from Peekskill to Graymoor for approximately $30.